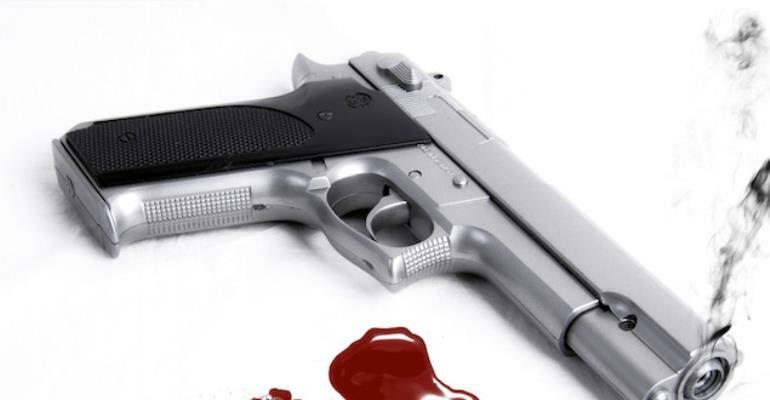 Information Reaching DGN Online indicates that a man known as Moro Pantrawura has been shot by some unknown gunman at Damongo in the West Gonja district of the Savannah Region. DGN Online gathered that the victim who is receiving treatment at the Damongo hospital was hit by a stray bullet. Reports indicates that the known gunmen shot into a VVIP bus with registration number AS 3966-18 traveling from Damongo to Tamale Monday dawn. The incident happened around the Damongo Nursing Training College in the West Gonja district. The VVIP Transport manager Damongo branch, Mr. Ibrahim who confirmed the incident to DGN Online said at about 5:40am their first bus took off from Damongo and on reaching a section of the road , an unknown gunman appeared and shot the bus and fled into the bush. He believed the driver might have been the target because there was other buses but the armed man shot only at their bus. According to him, the incident has been reported to the Damongo police for further investigations.